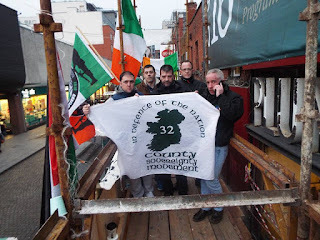 The 32 County Sovereignty Movement commends all those who occupied and defended one of Ireland’s most important historical sites, Moore Street Terrace from demolition. 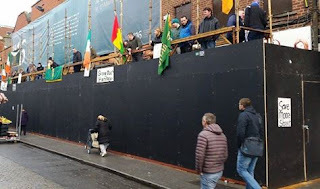 Activists from all spheres of Irish republicanism as well as socialists and political activists stood together and halted the demolition of this site. This achievement came to pass because of the unity that was displayed by all those present. 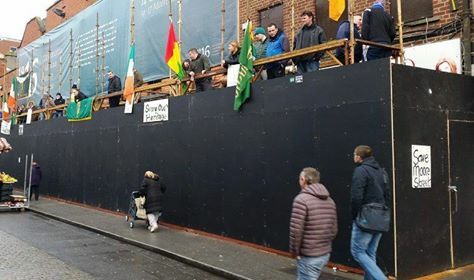 This unity of purpose needs to continue as vigilance is required due... to the Dublin government’s continuing objective of dismantling historical sites associated with 1916. This is only a small display of the impact of what unity among Republicans can accomplish. 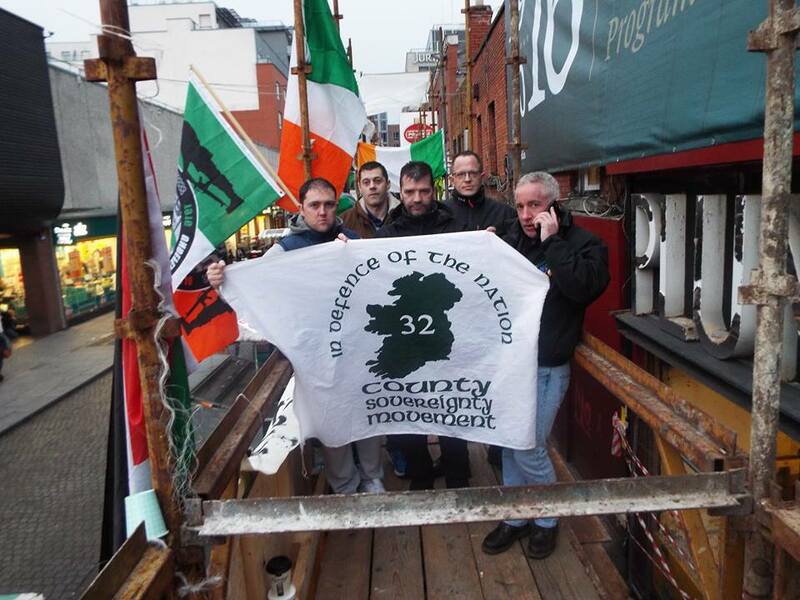 In 1916 Republicans stood together and stuck a blow against the British Empire and declared Ireland a Republic. Now 100 years on, in the Centenary year of the Rising, if Irish Republicans remain united we will be able to bring about the Ireland envisaged by the leaders of the Rising and restore Irish national sovereignty.